"Alexa, show me the future." It’s difficult to define the Amazon Echo Show. The device is more than a smart speaker like the original Echo, but it's not quite a tablet. And even though it has a 7-inch touchscreen, it’s clear that Amazon expects you to control the Echo Show with your voice. After testing and living with the Show for almost a week, however, I’m not so sure that expectation will hold true. Since the Show has a screen, I kept finding myself reaching out and touching the Show’s screen, only to come away a bit frustrated by the software’s limited user interface. Unlike a tablet or smartphone, the Echo Show has no home button, no app icons, and a back button that only appears on certain screens depending on what you ask Alexa. Yes, it can "show you things", as Amazon is so quick to point out in its marketing. But in order to watch something on YouTube or Prime Video, or search Amazon for things to buy, you have to ask Alexa with your voice. The Echo Show has no Silicon Valley-dictated interface to contend with—all you have to do is use your voice and ask. However, my initial frustration with the Show’s user interface led me to believe that maybe I’m not the Echo Show’s target audience. Even Amazon's own videos about the product focus on grandparents and families. As a tech writer, I know how to use computers and gadgets and expect to tinker with UIs. But for the rest of the world, the Echo Show has no Silicon Valley-dictated interface to contend with—all you have to do is use your voice and ask. 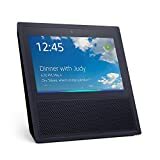 With the Echo Show, Alexa will show you the weather forecast, nearby restaurants and points of interest, music lyrics while it plays songs, upcoming appointments on your calendar, live video feeds from home security cameras, timers and unit conversions for cooking, family and friends via live video calls, and of course, things you can buy with your Amazon account. And that’s just scratching the surface. One of the Echo Show’s marquee features is video calling via its front facing camera. At launch, you’ll be able to video call anyone who has an Echo Show or who installed the Alexa app on their phone. The new app wasn’t ready for me to test, but I was able to test Show-to-Show video calls by calling my USA TODAY colleague Ed Baig, who also received a Show to test. We both felt the call quality was very good, but—at least on my end—the audio quality was better than the video quality. Then there’s “Drop in.” You might find this feature a tad creepy, as it allows you to drop in on someone through their Echo Show—provided they’ve granted you that permission. Unlike a normal video call, “Drop in” video calls first load what looks like a frosted pane of glass, taking about 15 seconds to clear up so you can finally see the recipient. During that brief period, the recipient has the option to turn off video or end the call. If you do ask Alexa to end the call, the person who called you will hear you say that, which we found to be extremely awkward. Amazon could easily fix this quirk by initially muting the recipient’s microphone, but we’ll have to wait and see if the company makes a change. 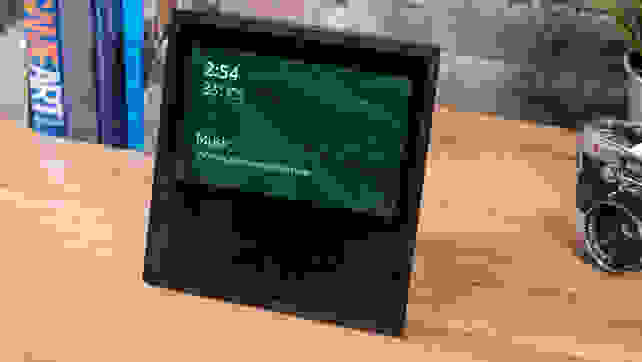 I’m not going to lie: When I first saw a photo of the Echo Show, I thought it looked dated and ugly. But its black, monolithic aesthetic has slowly grown on me. I do wish it wasn’t as chunky in the back, but we’ll probably have to wait for the next-gen version to see that. As for sound quality, I found it to be just as good as the regular Amazon Echo. The only difference is that it doesn’t offer 360-degree sound, and can be more difficult to hear if you happen to be behind the device. Thanks to the Echo Show’s touchscreen, both Alexa first-party and third-party skills get much more powerful—almost akin to smartphone apps. I was able to try a few updated third-party skills for the Show, including AllRecipes and Fandango. Both use the touchscreen to show search results, and allow you to drill down into the results using your voice to get more information. The same can also be done when searching for products to buy on Amazon (naturally). I was especially impressed by the updated AllRecipes skill. With it, I was able to search for a chocolate chip cookie recipe, pull up the ingredient list, and even watch a video about how to bake them. If all that’s possible with a recipe skill, it’ll be exciting to see what new kinds of skills developers cook up. Amazon is also using the Show to add a new type of smart home device to Alexa’s skill set: security cameras. If you own a Nest Cam, Arlo cam, or Ring doorbell (to name a few), you’ll be able to ask Alexa to pull up your camera feed so you can see who’s at the door or keep an eye on the kids in another room. I was able to test this feature with an Arlo Q camera and two Ring Video Doorbells. Unfortunately, it still has some kinks to work out, as it consistently took a few tries for Alexa to finally load the camera feeds. Hopefully this issue will be fixed soon, but you may find it frustrating in the meantime. 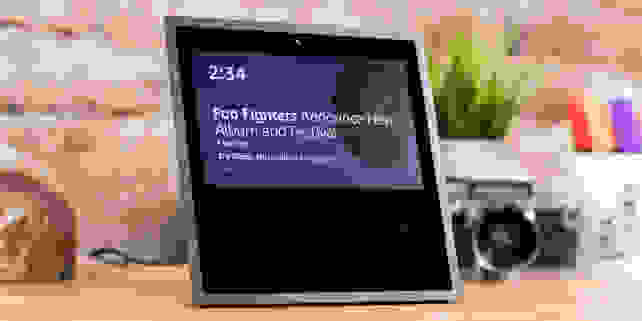 Due to the Echo Show’s limited user interface, it can be a bit frustrating to find something to watch on YouTube or Prime Video. You can ask Alexa to search for something specific on one of the services, but there’s no real menu where you can browse for new things to watch. It’s passable in its current form, but if the Show becomes a popular option for watching TV (say, in the kitchen) and Amazon allows more video services onto the device, customers will likely want more browsing capabilities. And Amazon really should allow other services onto the Show. I'd love to use it to watch Netflix or Hulu. 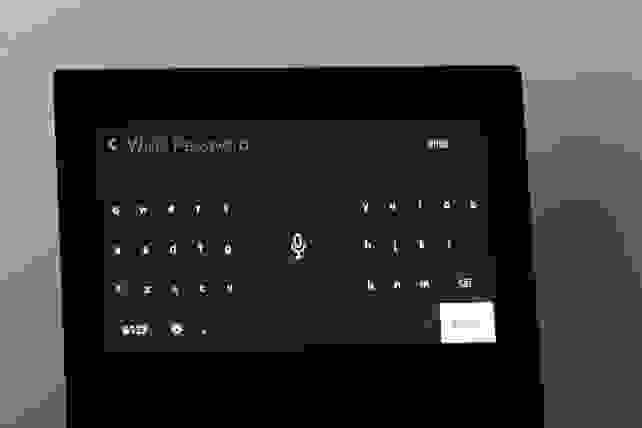 The Echo Show has an on-screen keyboard, but it can only be used for setting up WiFi and logging into your Amazon account at this time. When I first set up my Echo Show, I was pleasantly surprised to see that it had a large on-screen keyboard for entering account credentials and WiFi passwords. But that was the last time I was able to use the keyboard. It can’t be used for messaging (voice messages only), nor searching. I know few people will want to awkwardly type on the device, but it’s a nice option to have. Almost every other virtual assistant has Alexa beat when it comes to navigation, even Siri. Alexa will answer questions about traffic info and directions, but will only show you the amount of time your trip will take. And there isn’t even an option to send directions to your phone. I know Amazon isn’t a fan of Google services, but even something like Mapquest (yes, it still exists) could suffice. Should you buy the Echo Show? After living with the Echo Show for almost a week, I’ve come away feeling that the Echo Show has a lot of potential. From the easy ability to shop for things on Amazon to new, compelling skills, it’s clear that Amazon is onto something. Personally, I would like to see Amazon fix some of the quirks and bugs I found before purchasing an Echo Show. However, if you're the sort of early adopter who already wants to throw your money at Amazon, you should be okay with one of these first-gen units. Amazon has consistently updated the original Echo’s software, so it’s relatively safe to expect that fixes and improvements will come to the Echo Show eventually. Despite my desire for a proper user interface, I think non-tech-savvy consumers will greatly enjoy the simplicity offered by the Echo Show. When all your grandma has to do is ask Alexa to video call the kids—and it happens without any button presses or app menus—the Echo Show becomes a pretty easy purchase.